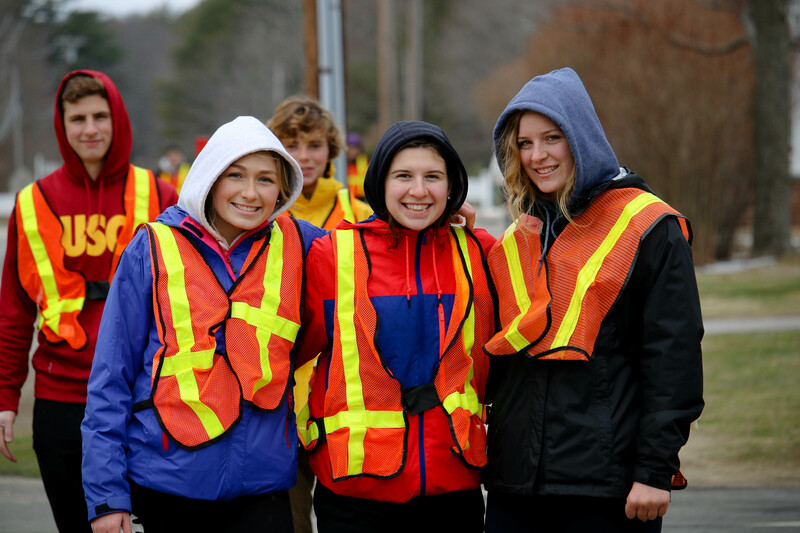 The temperamental weather of this past week has called into question our expectations for seasonal predictability, and with Mother Nature's authority in mind, the snow, sleet, and rain held off for a few hours to allow us to make the most of Proctor's annual observance of Earth Day. 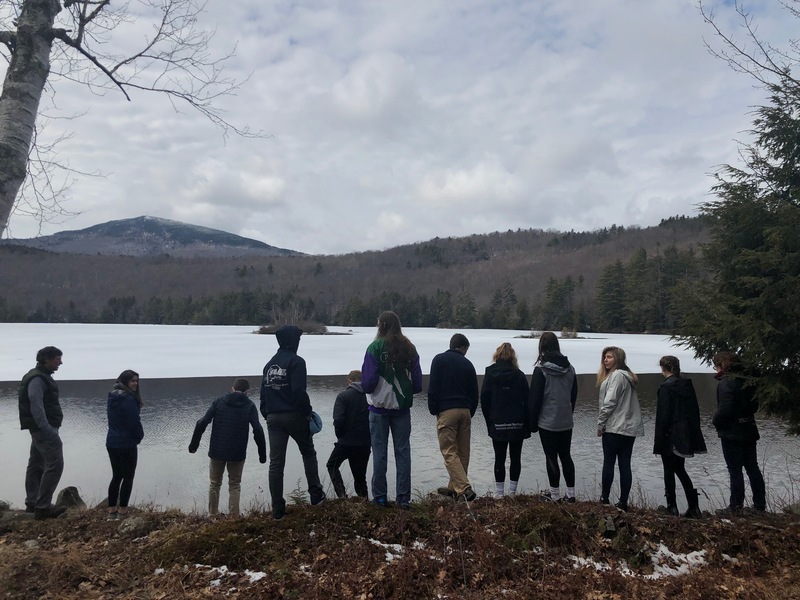 Each year, students and faculty allocate a full academic day to exploring diverse and creative ways to interact with and greater appreciate the natural world around us. 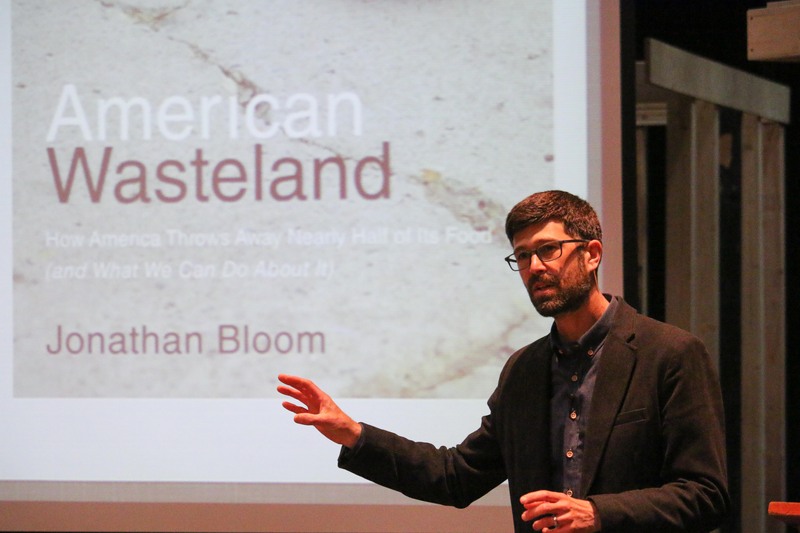 Guest speaker Jonathan Bloom, author of American Wasteland, gave a keynote Wednesday evening to kick off Earth Day 2018. 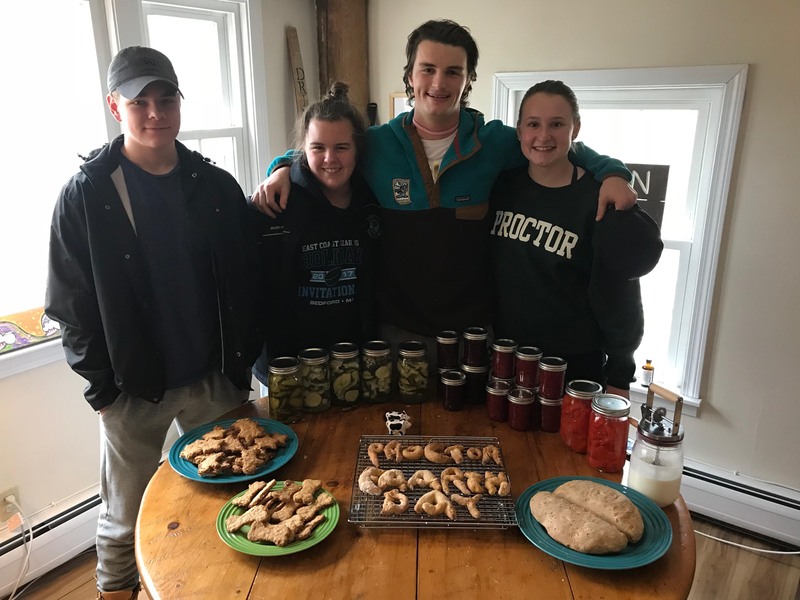 Proctor's dedication to environmental stewardship began long before the school joined the progressive environmental movement to celebrate Earth Day for the first time in 1970. Roland Burbank started Cabin and Outing clubs in the 1930s and 1940s as he simultaneously pursued and shared his passion for the outdoors. 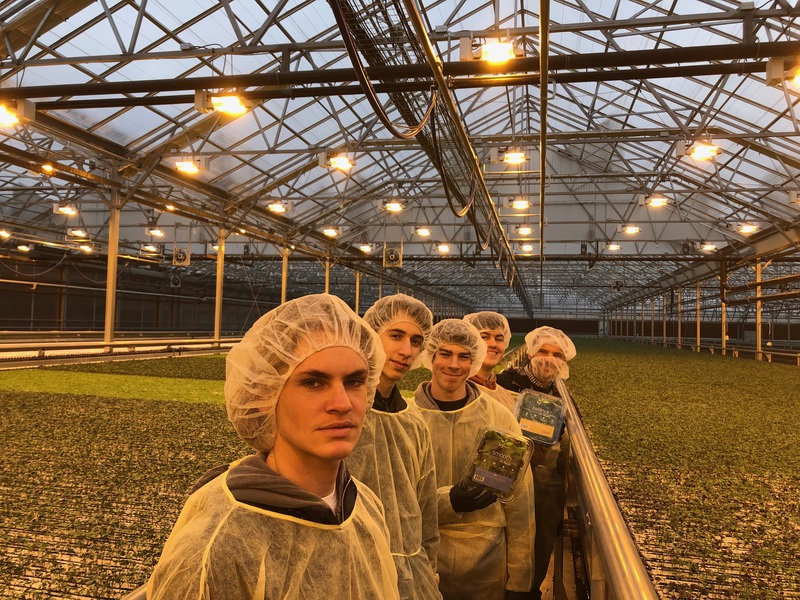 Students planted and harvested victory gardens during World War 2, student-led improvement squads built trail systems, cleared ski trails on slalom hill, and maintained the school grounds throughout the 1940s, 50s, and 60s. The waters of Proctor’s commitment to environmental stewardship run deep, and continue to run to this day. 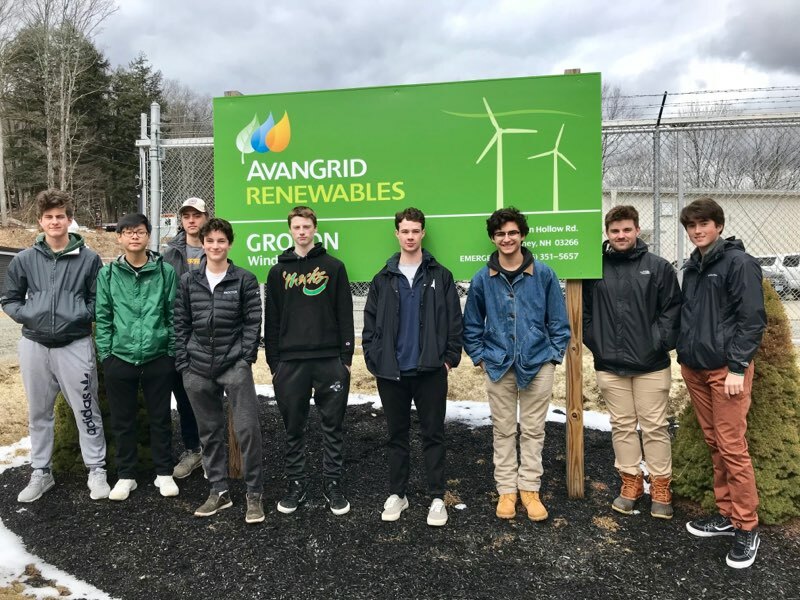 One group visited the Groton Wind Farm (above) to learn the ins and outs of wind energy, while another group (below) visited a hydroponic farm operation in Loudon, NH to learn about sustainable farming alternatives. Mindfulness and a sense of shared responsibility are both requirements for a healthy and sustainable community, and both are embedded into our daily lives through activities like dish duty, assembly, and our conversations around technology use. Though we have always been an "outdoorsy" school, the student written Environmental Mission Statement adopted in 2008 continues to guide our application environmental awareness in core curricula, energy efficiency projects, and community involvement on days like today. 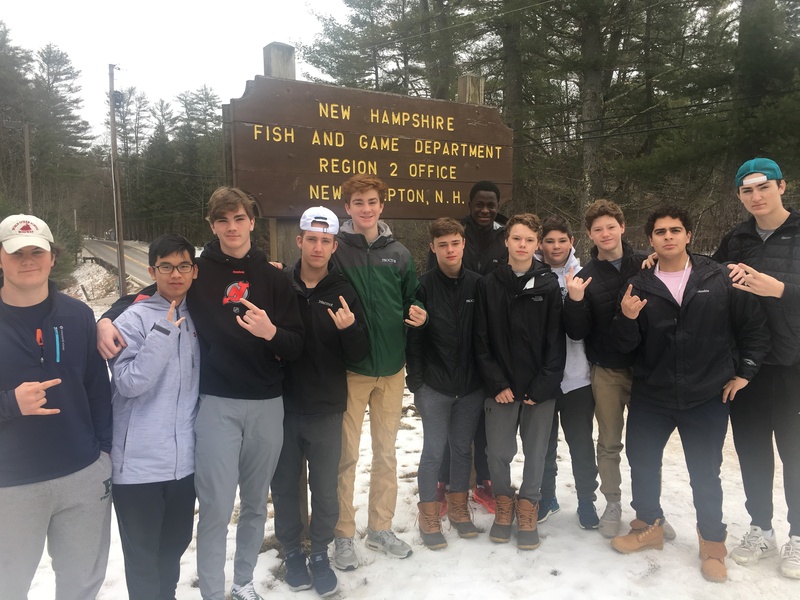 Always an Earth Day favorite: a visit to the New Hampshire fisher hatchery in New Hampton with Mike Walsh to learn about native species, stocking of water sources in New Hampshire. In 2014, Admiral William H. McRaven delivered a commencement speech to the graduates of the University of Texas, in which he described ten lessons from the Navy that can be used to change in the world. While all ten are valuable, the first lesson stands out on Earth Day: “If you want to change the world, start off by making your bed." Completing small, seemingly insignificant positive acts results in a feeling of pride that can encourage further small actions. These acts build upon each other, as you work toward completing otherwise daunting tasks. 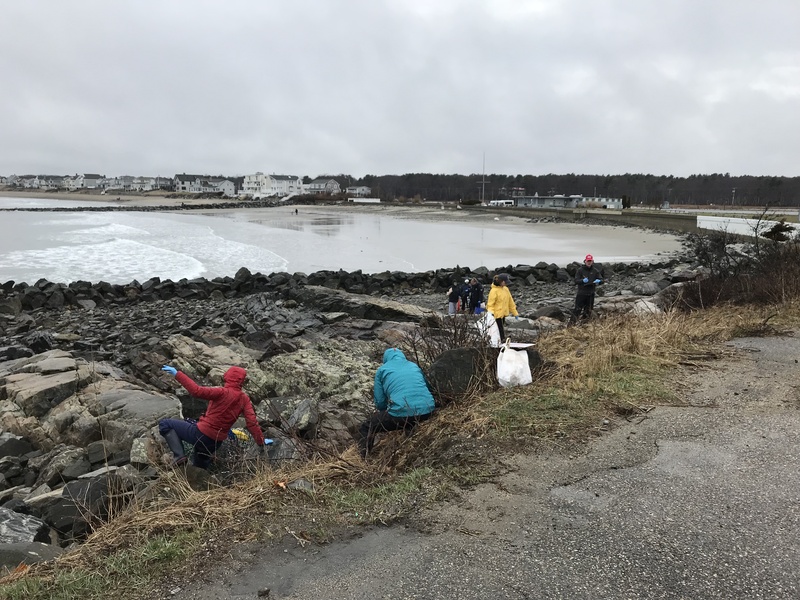 Whether it is cleaning up trash at Rye Beach (above) or along Route 11 in Andover (below), service is an important piece of Earth Day at Proctor. Today, faculty sponsored workshops employed Admiral McRaven’s simple piece of advice as we celebrate Earth Day and take individual first steps toward action. As students exercise awareness of their surroundings and their personal impact, they strengthen their ability to examine their time, resources, and relationship with each, becoming more intentional in how they live their lives. 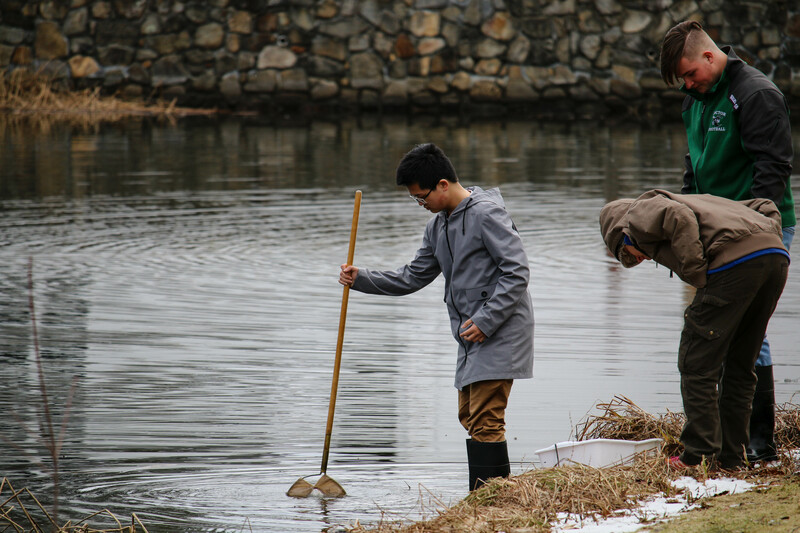 A decades long study of the Proctor Pond is also an Earth Day staple with Dougo and Sue Houston. Education is a long-run game. While we see remarkable growth in our students from the time they step foot on campus for Wilderness Orientation until the moment they walk across the stage at Commencement, we recognize the true impact of a Proctor education does not take root until long after students move on from our careful watch. Our role is to sow seeds of responsibility, environmental stewardship, and an appreciation for the nature world so that each of our graduates feels empowered to “make their bed” when opportunities to affect change present themselves. Cooking using local ingredients and learning the art of canning was a popular theme this year. 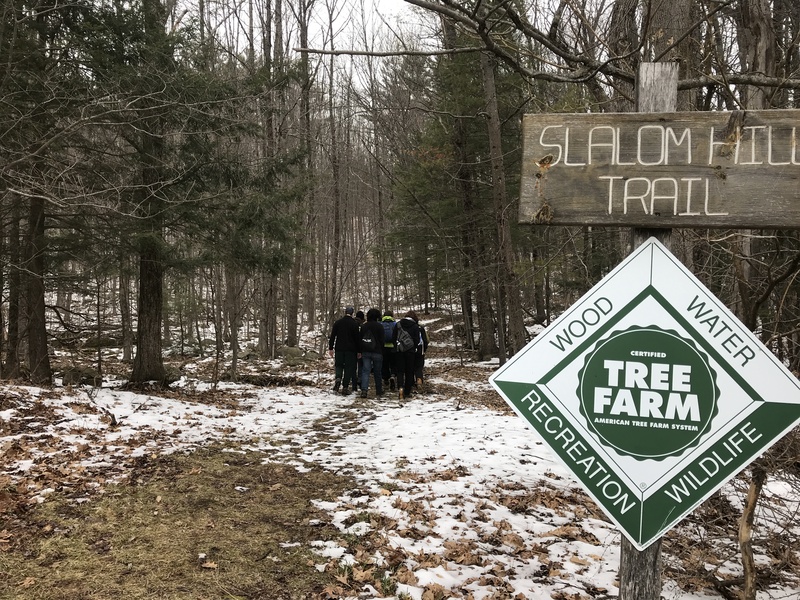 Three different groups spent time in Proctor's Woodlands: one group hiked to the Cabin and the Bulkhead, while another did trail maintenance, and another experienced the natural world through a solo sit experience. A big thanks to our Environmental Coordinator, Alan McIntyre, and his collaborators Melanie Maness and Lindsay Brown for making our Earth Day celebration possible!